Kylynn Hill is a graduate of the Massage Therapy College of Manitoba. She uses a combination of soft tissue and massage techniques combined with stretching, strengthening and other modalities to encourage health and balance back into the body. She loves working with all kinds of people and brings them into an active role in their treatments. She looks forward to continuing her education and bringing new modalities into her treatments. 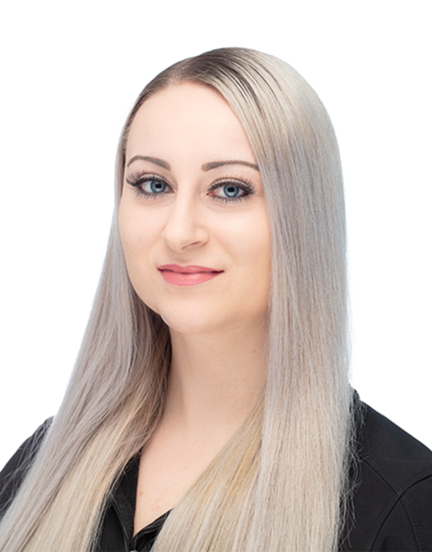 In addition to graduating as a Registered Massage Therapist from The Wellington College of Massage Therapy, Kaylee has also received her Bachelor of Science degree in Kinesiology and Applied Health from the University of Winnipeg, and is certified with the Canadian Athletic Therapists Association as an Athletic Therapist. She has completed a course in Soft Tissue Release, and plans to continue taking courses that will broaden her treatment technique repertoire. Kristyn Boulet is a registered massage therapist, who graduated from the Wellington College of Remedial Massage Therapies. Kristyn provides clients with an exceptional experience in the direction towards natural healing of the body. She has a strong passion for assessing musculoskeletal dysfunctions and providing individualized treatment plans with measurable results for clients. She believes in the importance of educating clients on their bodies, and giving them treatment plans to do at home, so they can become active participants in their recovery/rehabilitation. With an athletic background, Kristyn has an enhanced understanding of the unique needs of athletes. She has taken additional workshops in sports massage therapy, pre/post sports massage, Indian head massage, breast massage, rib-mobilization, and an introduction to craniosacral therapy. She is eager to learn more through continued education workshops, for more variety in approaching clients conditions.